Homeowners can feel overwhelmed at the thought of renovating with numerous contractors available. How do you know who is right for you, your home, and your wallet? The answer lies in the time tested superior craftsmanship found only with Renewal by Andersen of Southeastern Mass and Rhode Island. With over a century and thousands of projects behind us, we have learned what it takes to create a fresh look to your home that will stand the elements for years to come. It begins with superior materials designed and manufactured to withstand New England weather. It is no secret that summers can be scorching and winters can be bitterly cold. We know that homeowners need protection from the weather patterns, so we developed products and installation processes to satisfy that necessity. Our replacement doors and windows are crafted to keep the cold out during the winter and the cool conditioned air in during the summer, drastically reducing your energy bills. Your budget has a breather when you choose Renewal by Andersen of Southeastern Mass and Rhode Island. 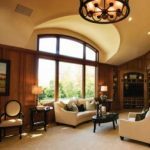 Our extensive lines of windows from double hung to bay allow you to customize your home for a traditional or contemporary style. 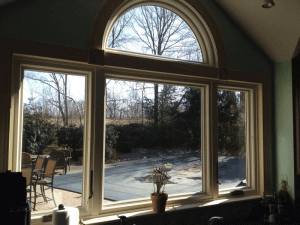 When your windows and doors have reached the end of their usefulness, contact Renewal by Andersen of Southeastern Mass and Rhode Island for your window replacement needs in Worcester. Don’t put your trust in other companies; choose the unparalleled quality developed over the last century.